Last night we hosted the annual RCA + SCIFTs combined meeting once again here at Village Green Foods. 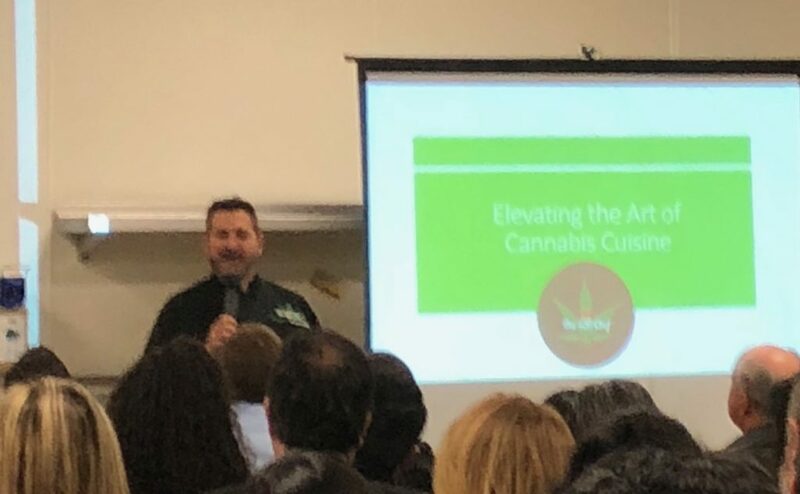 The speaker this year was Jeff the 420 Chef. Yes… you read it right. His presentation was all about Cannabis and how to make your own usable ingredients from the plant. He has a new cookbook about the Elevated Art of Cannabis Cuisine. With a record number of attendees from both RCA (Research Chefs Association) and SCIFTS (Institute of Food Techonologists – So Cal Chapter) we had a full house. Professionals and students alike enjoyed the presentation and asked a lot of great questions. And Jeff, our speaker, said he was pleased to be presenting to this group because we would be more likely to understand everything he talked about than most of his audiences. Thanks to all the great companies that donated food and beverages for the evening, too. 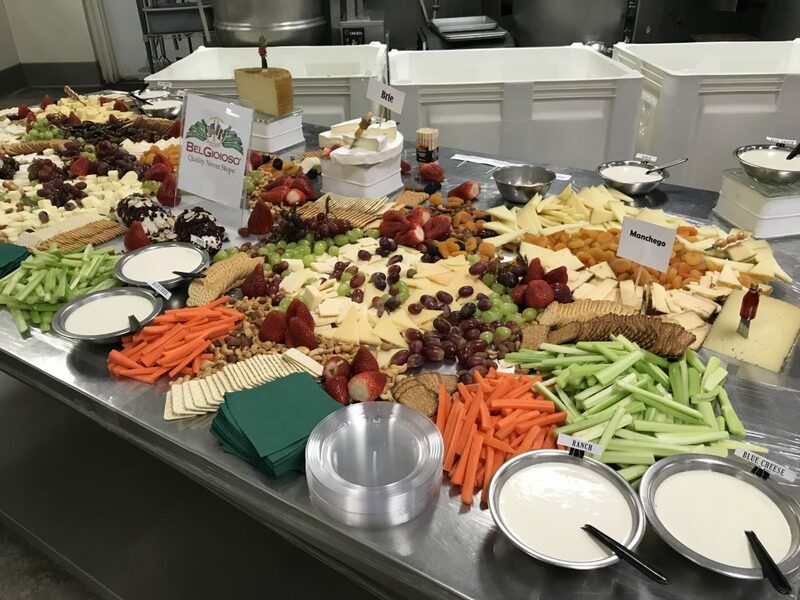 Del Real Foods, Karl Strauss Brewery, Mago Hot Sauce, Garlic King, BelGioioso Cheese, Zico Coconut Water, Real Food Marketing, Popchips and, of course, the team at Village Green Foods. 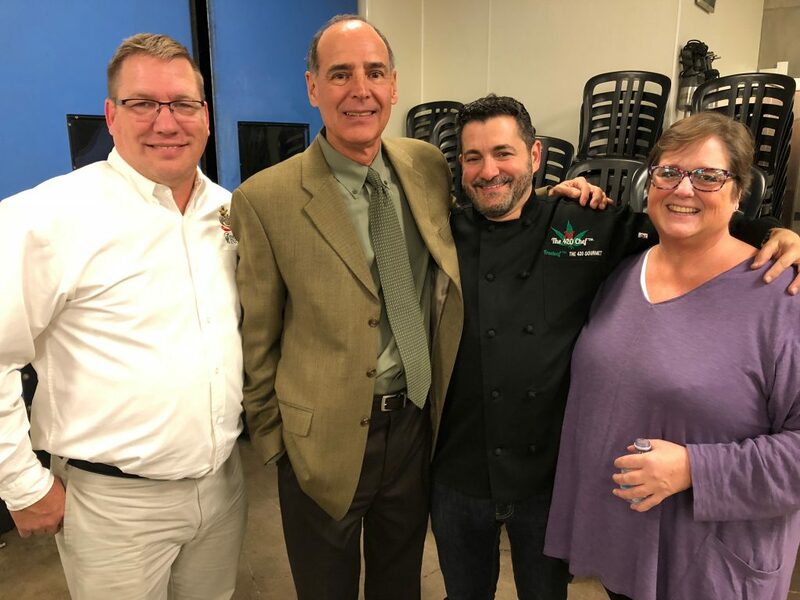 Jeff Crace – RCA Regional Key Contact, Garlic King — Mike Real – SCIFTS Chair, Real Food Marketing — Jeff the 420 Chef and me! Chef Jeff Elevating The Art of Cannabis Cuisine! Group shot – quite the party!